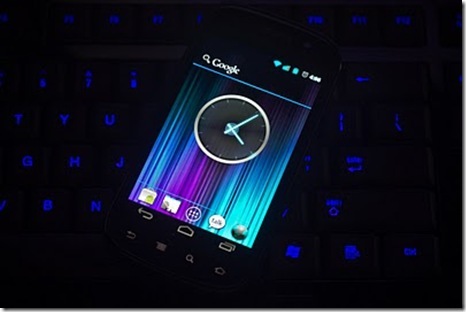 Did The Nexus Prime Get Put Together By The CyanogenMod Team? The Nexus Prime was and has been the words on everyone’s lips leading up to tonight, well that is until recently with the name now being the Galaxy Prime, Apparently it could be a whole elaborate show that the CyanogenMod team have made up. Other at Google+ this below was posted. With less than a day before launch, this anonymous Cyanogenmod member, who is remaining anonymous for their career safety, was caught in a Google+ Hangout late last night. After a few drinks with fellow Team Douche members, this team member divulged the path with which the next Stock Android device has come to fruition. As you may or may not know, the CyanogenMod team has been working very closely with Google over the past 2 months. Google, who acknowledged the combined experience and technical knowledge of the development team, decided to bring in the CyanogenMod team to help design, develop, and deploy the next Nexus device. Shortly after the interaction began, rumours started flooding in about the next Nexus, none of which were true. Claims that LG was going to be involved, claims that nVidia would be involved, and claims that it would be a Verizon Wireless exclusive was just more than the team could bear. So, the team did what they do best; they trolled the Internet. The leaks started to turn, universally, towards a “Nexus Prime”. The name had come forth out of a complete and total joke, but spread like wildfire. Bloggers across the world picked this name up from their “sources close to the action”. Before long, the name was synonymous with the device, despite there never being any proof that this was the name. As for what our drunken would-be leak let slip about the device, we’ve been told to expect Google to unveil a phone that docks into a tablet, that docks into a television, completing the three screen approach to taking over the house with Android. Accessories for the device will include a sliding keyboard dock, a kinetic recharger commonly seen with flashlights, and a car mount with a personal QR code projector. Slashgear have put together two images. 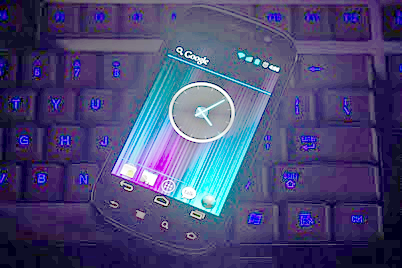 One that was taken from the Google+ post which is above and another shown below that was put out that clearly shows it’s an Nexus S running Ice Cream Sandwich, Now Slashgear have said it exactly right so i will quote them instead of saying it myself. The image you see above was included in a post on Google+ made by people that’d been in a G+ Hangout with a CyanogenMod worker last night. In this chat, apparently, this team member was part of a group working with Google closely over the past 2 months to help develop and design the device we’ll likely see tonight in Hong Kong. The funny thing about this situation is now that the CM7 crew may well have had a hand in the next Nexus device, it’s that they appear here to have been the source of every rumour we heard about the “Nexus Prime” up until the name Galaxy Nexus was leaked. Was this a big elaborate show by the CyanogenMod team to slide us away from what will really get launched and what they helped conceive and design? 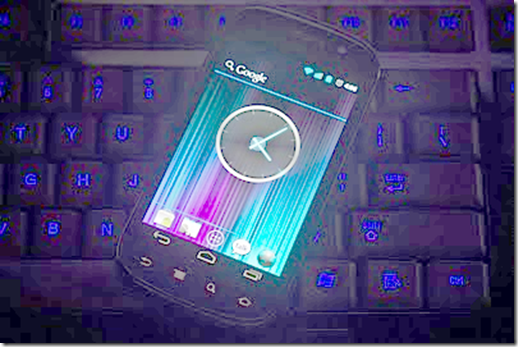 Time will tell if it is when tonight we will see the big unveiling of the Nexus Prime/Galaxy Nexus and more importantly Ice Cream Sandwich. If all this doe’s reign some truth then bravo to the CM crew for misleading us all with leaks, specs, pictures, and the rest of the show you have put on.